You couldn’t ask for finer performances than you’ll find in “Driveways,” the latest slice-of-life drama from director Andrew Ahn (“Spa Night”). 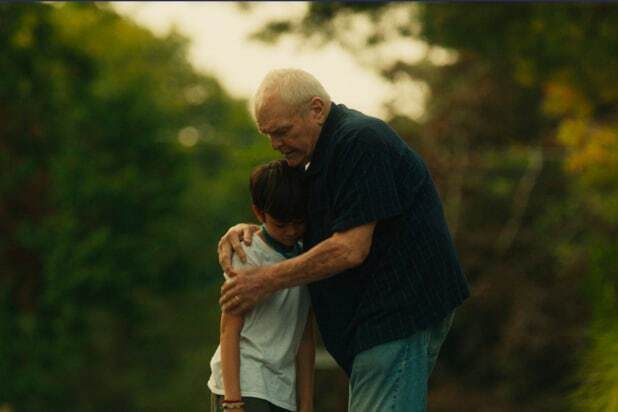 The film is a warm, charming look at a young boy befriending his elderly neighbor; there’s not an insincere moment in sight, as we get impeccable work from cast members Hong Chau, Lucas Jaye and Brian Dennehy. Hong Chau (“Downsizing”) stars as Kathy, a single mother who travels with her young son, Cody (Lucas Jaye, “Fuller House”), to the home of her recently deceased sister. What should have been a short trip to put her affairs in order and clean out her home, gets complicated when Kathy learns — too late, and after years of estrangement — that her sister was a reclusive hoarder, and that the house is so full of accumulated bric-a-brac (and a dead cat) that they’re going to be stuck there for quite a while. In fact, the house is so densely packed that Kathy and Cody are forced to camp on the front porch and make nice with a series of neighbors with varying degrees of nosiness. Kathy endures the pushy small talk of a grandmother named Linda (Christine Ebersole), while Cody makes awkward niceties with the local children: two of them are polite kids who are just getting into manga and think it’s everything now, while two others are into wrestling and challenge Cody to a fight. When that fight goes poorly, in an unexpectedly grody fashion, Cody ends up spending most of his time with the elderly veteran Del (Dennehy), who spends most of his time on his own porch, or playing bingo and generally just minding his own business. It’s a friendship that opens doors for Cody and Del alike, as they each find a companion who yearns for peace, quiet and earnest conversation. “Driveways” is a step in a different direction for director Ahn, whose first feature “Spa Night” was another slice-of-life drama, about feeling disconnected from one’s friends, family and community. But while Ahn found tragedy in that quiet tale of a closeted gay young man, in “Driveways,” his seemingly lost characters develop unlikely, close relationships. Even the sun seems to shine brighter in this new film. It’s unerringly sweet and hopeful. 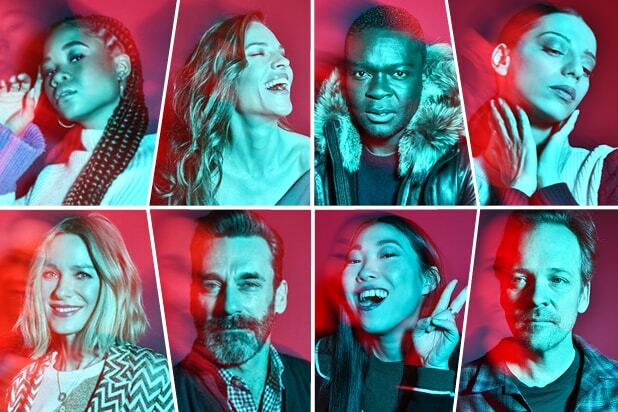 That hope radiates from Ahn’s wonderful cast. Dennehy carries the weight of a lifetime on his shoulders, burdened but undefeated, knowing full well that a well-placed extension cord can be an act of remarkable kindness. Chau’s Kathy — trying to keep her son happy, trying to make a living, and whose life gets interrupted by the depressing realization that she never really knew her sister — gives a layered, funny, insightful performance. And young Jaye is a revelation as a young boy who’s more comfortable among the elderly than anyone his own age. “Driveways” is a film without dire incidents and exciting set pieces. The most suspenseful moments come in the middle of a pizza party and are diffused quickly. Ahn instead crafts his film around keenly observed details, like the highly motivated search for an electrical outlet by a child who’d rather play video games than observe his environment, or the hidden invite to a social gathering, handmade, in a newspaper. Little moments adding up to big feelings. Cinematographer Ki Jin Kim (a “Spa Night” veteran) and editor Katherine McQuerrey piece Ahn’s story together through tiny moments, daily routines, the busy work that fills more of our time than most movies admit. And subtly they turn a situation of stress and discomfort into a warmly photographed, beautifully interwoven tale of life-changing friendship. What starts out as a series of unrelated individuals and incidents evolves into a story about people who seemingly define each other, and that closeness emerges in the film’s comforting paces and bright imagery. “Driveways” is the best kind of slice-of-life movie, reminding us all that big stories come out of little things, and that all of our journeys have value, even if we spend years at a time just getting by. What a delightful discovery this movie is, and what an incredible collection of impeccable performances. Ahn’s film finds the drama in the intentionally quiet life of introverts and lulls his audience into peaceful, wise, contented security.